Gap or space between two teeth is literally termed as a “diastema”. It is a very common condition, and especially affects children. Typically, diastema occurs as a part of child’s development and gets correct on its own. However, if diastema persists even after the eruption of adult teeth, then professional treatment becomes necessary. Most often, space diastema occurs between the two upper front teeth. A number of factors such as genetic disorders, variation in jaw or tooth size, missing or undersized teeth, and unhealthy oral habits such as thumb sucking, contribute to space between teeth. Oversized labial tissue called frenum, which attaches lips and the gums is, also adds to diastema condition. Periodontal (gum) disease causes bone loss, which supports teeth. As a result, the teeth become loose and gaps are formed between the front teeth. Incorrect swallowing reflex can also develop spaces. In some individuals, during food swallowing, the tongue presses against the front teeth. This is known as tongue thrusting. It hinders the natural space closure between the teeth. In children, as the baby teeth begins to fall, temporary gaps may be noticed. However, as the permanent teeth appear, these spaces get closed. If the spaces expand, then some pain or discomfort may be experienced, especially while chewing or biting. All diastema conditions do not accompany such symptoms. It is not practical to prevent all types of diastema condition. For example, if tooth missing or size mismatching, causes diastema then it spaces cannot be avoided. A good oral health requires proper maintaining of gum health. Periodontal disease and related loss of bone can be easily prevented with regular brushing and flossing. Dental Braces– This common diastemas correction procedure makes use of a set of dental braces along with a retainer therapy. Removable Dental Braces– A less invasivetreatmentprocedure such as Invisalign® is recommended only in less severe cases. Cosmetic Dentistry– Dental bonding or veneers are used in case of a midline diastema. They are useful in covering the gap or space between two teeth. Missing Tooth Replacement– A dental bridge or dental implant method is preferred when missing of a tooth leads to diastema condition. Dental Surgery– If diastema is caused due to the oversized labial frenum, then prior to orthodontic treatment, a dental surgery is needed to be done. In frenectomy, the dentist or the orthodontist either removes or loosens the tissue. This helps in creating space for diastema closure. If orthodontic treatment or dental repair is used to correct diastema, then permanent space closure is achieved. Retainers are recommended by the dentist to avoid the space from coming back. 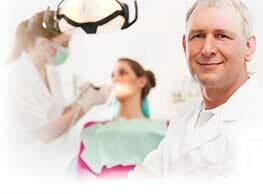 A regular visit to the dentist is required to achieve best results.